The March 28th Missouri/Kansas Fishing report is up at the Kansas City Star website! Water temps are fluctuating with the rain moving through and fishing has been hit or miss. Most lakes are still in the upper 40s, but water is stained or murky because of the rain and wind. Look for white bass to begin running up the creeks soon. The Lee’s Summit Area Fishing Facebook Group is gaining members fast and everyone is doing a great job of sharing the knowledge they have about local lakes! 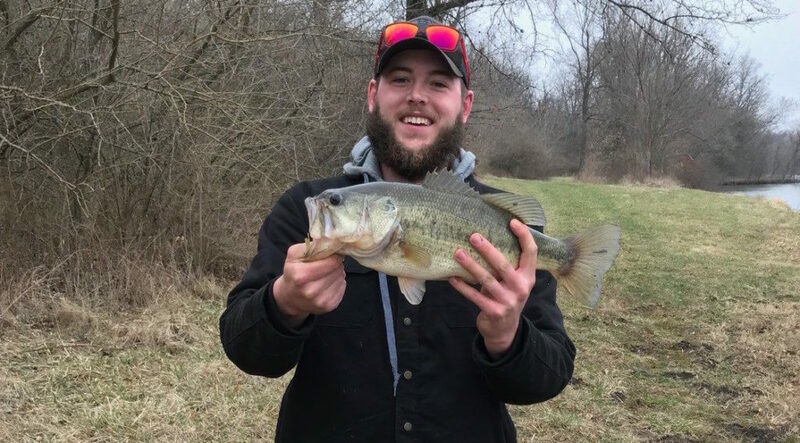 Member Jake Kautz with a 5.5 pound largemouth caught in Gopher Lake at the James A. Reed Wildlife Area in Lee’s Summit.